1 cup of Maiz Tostado/South American Cancha Corn nuts (Heat the pan to high degree and toast the corn nuts until they pop from within). Mix tomatoes, onion, cilantro, salt, cumin powder, olive oil, lemon juice, water. Massage well. Add chocks. Let it sit for 2 hours. 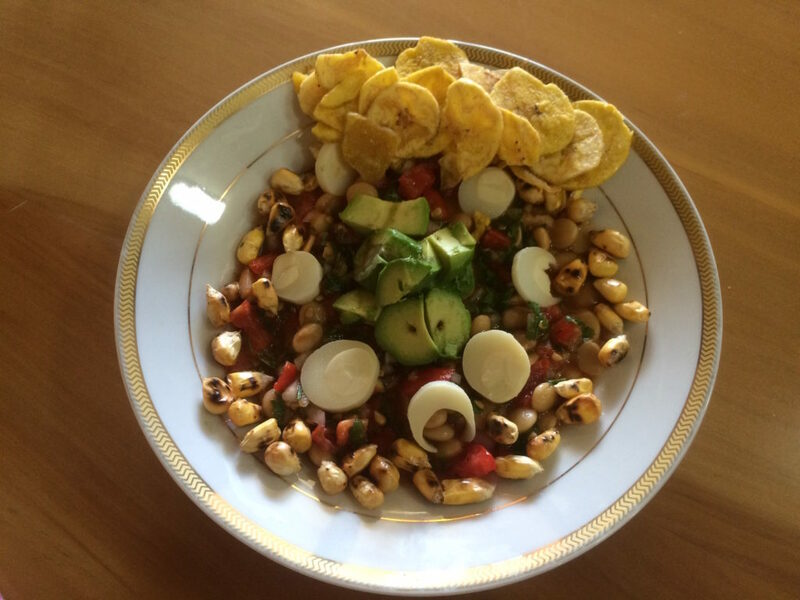 While serving, pour the tomato mix in a bowl, add cubed avocados, toasted corn nuts, palm heart rings on top of the tomato mix. Place few plantain ships on the side and serve!